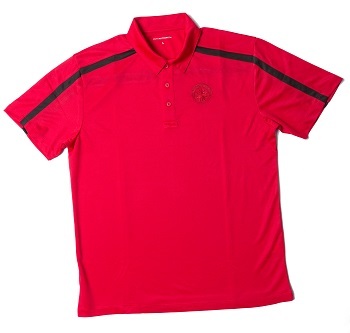 Red polo shirt, featuring silk touch fabric and a contrasting black stripe. Royal Rangers logo embroidered on left chest. 100% polyester.